Queen size bed Headboard/Footboard. Easy to assemble. The color is black. 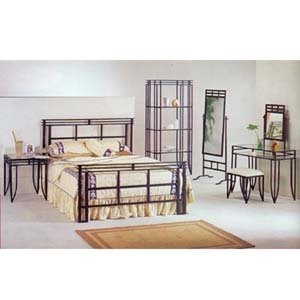 The set includes: Two Nightstand: 22 In. x 22 In. x 24 In.(H). Cheval Mirror, Vanity Set and One set of rails. Items can be sold separately. Check Related Items For Matrix Style Occasional Table Set and Racks.